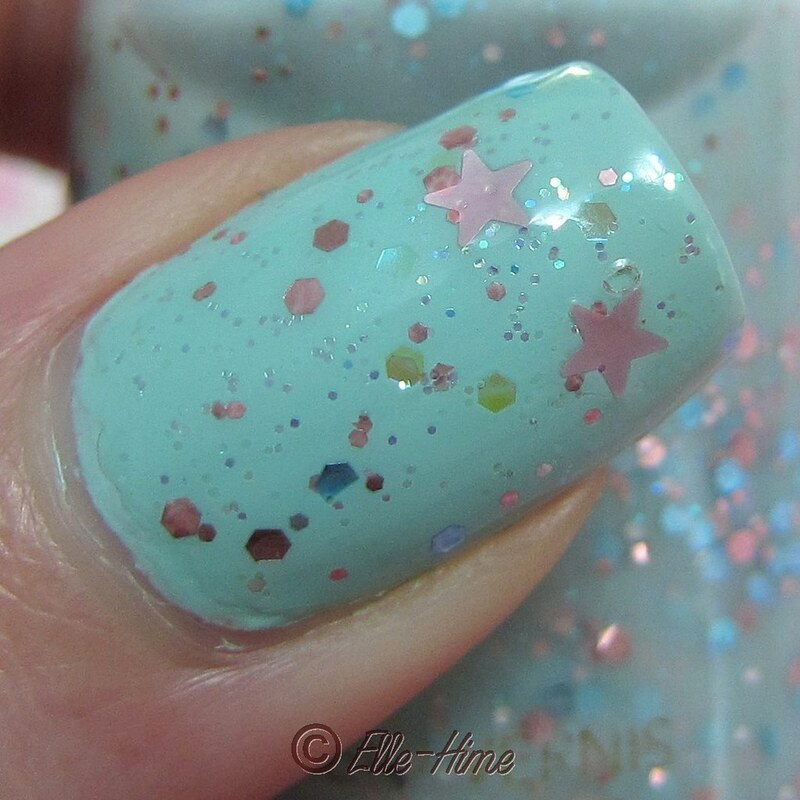 Princessly Polished: Whimsical, Dreamy Glitter is a Home Run! 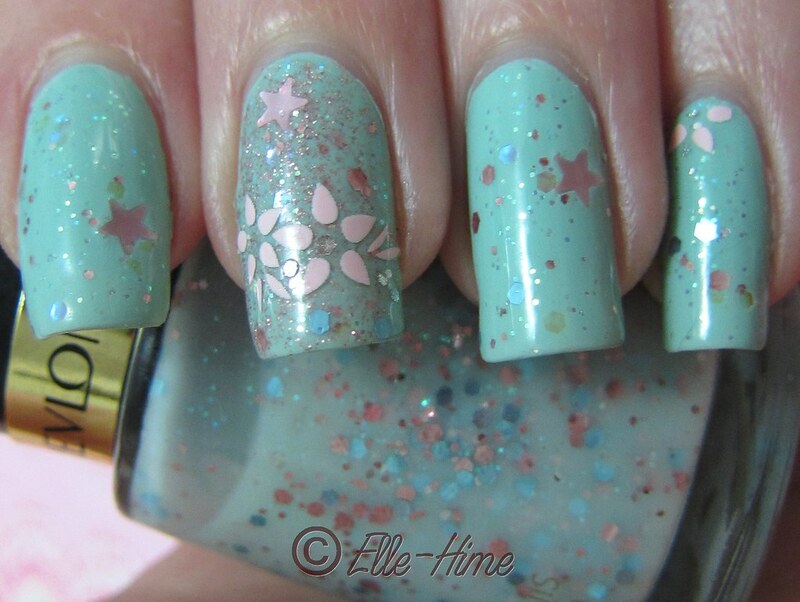 Yay for titles made from the names of polishes used! I did some pretty pastel nails for my Happy Halfiversary (you know, the 6-month mark of being married!) manicure. Finger Paints Hue Left A Message? 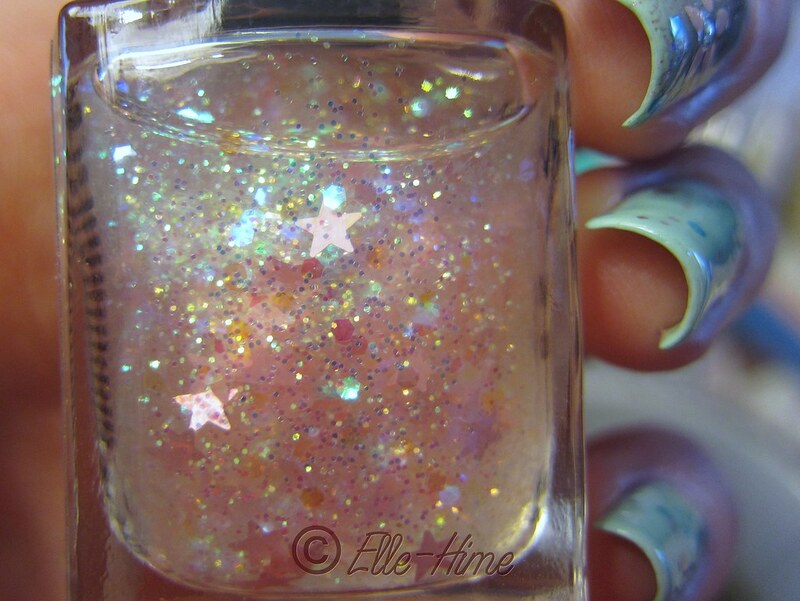 is an adorable micro glitter which only has a cameo in this manicure. Pure Ice Home Run, a wonderful mint green creme - I used two coats as my base! 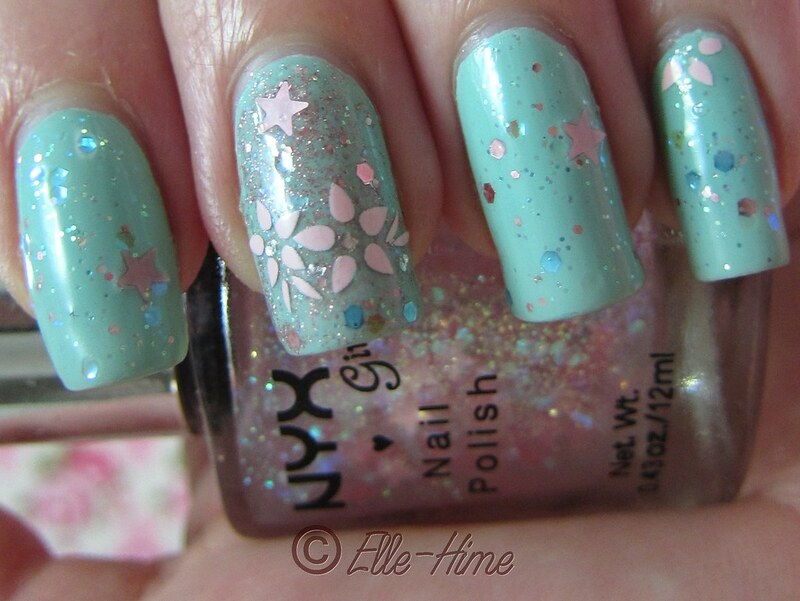 Nyx Girls Dreamy Glitter, and Revlon Whimsical. Then I added nail art stickers to a couple nails as accents. I used one coat of Whimsical over Home Run, which didn't alter the color at all because Whimsical has a similar base color that is very sheer. You can transform it quite easily, so rather than use 4-plus coats of it alone I prefer it for layering. After Whimsical I tried a thin coat of Hue Left A Message? on my middle finger, but the glitter was still more concentrated than I wanted. I moved on! Enjoy this yummy macro shot of the bottle! To finish my manicure I used a fast-drying topcoat and went to bed. The next morning I added a pastel nail art sticker to my accent nail so my lonely Hue Left A Message? nail wouldn't look so out of place. I put on another top coat layer which smoothed the star glitter pieces out better. Thanks for letting me share these with you, hope you enjoyed them as much as I did! A quick note on the ragged cuticle area on my index finger; I cut my finger badly two weeks ago and as it heals it keeps peeling. I can't do much about it other than give it time. I took these pictures at the beginning of the week and I'm still wearing this manicure today. My index finger is looking a lot better, and amazingly my nails only have tip wear. I'm also happy to say that my nails have grown out to a good length and patient filing has earned me an even square shape... finally! Love, love this! You have no idea how much I love this. That's great to hear! I hate to take it off.